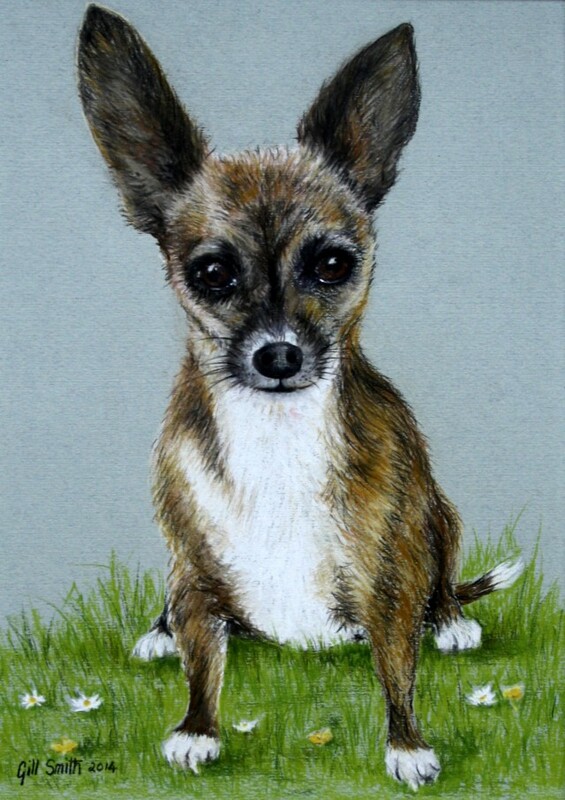 A recent commission of a much treasured Chiwawa. From photographs supplied to me by her lady owner, this was created on a Fabriano pastel paper, using Faber Castell pastel pencils. The charm of this small breed of dog is reflected in their wonderful eyes and expressive large ears. This made a wonderful keepsake of a much loved pet. This portrait was presented in a quality double mount, ready for framing in a standard 14″ x 11″ frame. The cost for this size is £65 plus £4.30 p&p, 1st class signed for Royal Mail. Other sizes available on request, please contact me for details.